Why is weed illegal? How does the DEA have that power? Why do they claim it has “no medical benefits”? Why do they give the OK on opioid use? How can any of this make sense given the US government has a patent on the clinical uses of cannabinoids? In this article, we will lay down the facts that will answer these questions. This is a long, but worthwhile read, as it is a full exposé of the forces that are actively at work to keep weed illegal. With the current sociopolitical status, it is very clear that the federal government does not want you to smoke marijuana; they have a ban on marijuana. Fortunately, states have more power, as we see legalization continuing to spread on the state level. The DEA cannot stop people from smoking cannabis. While more and more states have begun to legalize marijuana, there have still been strong political forces at the federal attempt to keep weed illegal. Jeff Sessions has been actively trying to raid more medical marijuana dispensary. Fortunately, his efforts were muzzled. Are you confused or outraged by the DEA’s announcement to delay the rescheduling of cannabis? Take a hit, chill out, and give this a read. I guarantee you that it will provide you with a perspective that you have never fully considered. In this article, we lay out the evidence to show how central banks lobby to create policies that promote opium and other drugs, while discouraging the growth of cannabis. We must not fight for our freedom, but rather acknowledge that we are already in control. Read below to gain inspiration on how to take the power back! There has been a lot of headlines about the DEA’s recent decision to keep cannabis on the list of Schedule 1 drugs. Directly from the mouth of the DEA, they state the following. Schedule I drugs, substances, or chemicals are defined as drugs with no currently accepted medical use and a high potential for abuse. As we have continued to provide articles citing dozens of legitimate medical research supporting the medicinal benefits of marijuana, it is blatantly clear that the DEA is lying to the citizens of the United States by claiming that marijuana has no medicinal value. We all know that cannabis has great anti-inflammatory properties and helps with pain relief. One of the reasons why cannabis is so good at this is because nearly all the cannabinoids have different mechanisms of anti-inflammatory action. Still not convinced that cannabis as no medical value? Feel free to check out some of our previous articles, linking to hundreds of scientific articles suggesting that cannabis has medicinal value. So far, we have discussed the benefits that cannabis has for cancer, epilepsy, Crohn’s disease, arthritis, Alzheimer’s, and the case could be made for ADD/ADHD. Heck! Cannabis even helps reverse aging! While a pharmaceutical can synthesize one cannabinoid and could combine two or three together, it is too expensive for them to combine more. Cannabis has around 100 cannabinoids, and it can be grown from the earth for free. We summarize the main cannabinoids here, which also links to individual pages for each cannabinoid. Cannabis is also sustainable, as growing it provides more seeds to grow more cannabis. The earth provides us with sunlight, rain, and proper nutrients. No money is needed to grow marijuana. By our definitions, we see that medicine provided by big pharma is not sustainable. Why is weed illegal, then? Why is weed illegal, then? The DEA is a federal agency, which uses tax dollars to keep people from growing weed. Instead of growing our own medicine, they would prefer it if we pay to see a doctor, who will then sell us dangerous and addictive opioids created by pharmaceutical companies. The system robs us of our money to sell us things that we do not need and fund wars that we do not support. Why is it that the federal government does not seem to provide policies that help their citizens? It’s simple, just follow the money. While the DEA is the one who decides how to regulate drugs, we must remember that big corporations have a sole duty of making profits for shareholders. The pharmaceutical companies are not satisfied with constant profits. Each year, they need to expand their business. But what happens when almost 60% of Americans are prescribed pharmaceuticals? How is big pharma going to make more money? Are we also to believe that the majority of Americans are sick and need medication? Shouldn’t society focus on creating a healthy society that minimizes the percentage of people who need medicine? With lobbying in itself being a multi-billion dollar industry, we are starting to understand how corporate greed corrupts our federal government. Why is weed illegal? Well, most pharmaceutical companies spend more on lobbying and advertising than they do on research and development, so it’s no surprise that they also spend millions lobbying against the cannabis industry. Image from The Washington Post. It is in the best interest of the pharmaceutical companies to keep marijuana illegal, since this would cut into their profits. Even if they lose millions of dollars by lobbying the DEA, big pharma continues to make billions of dollars. Pharmaceutical companies like Insys have been convicted of forcing the over prescription of opioids while also lobbying significantly against legal cannabis in Arizona. Americans are starting to wake up. This can be seen by the question posed on Quora: Is it true that the DEA refused to reclassifly cannabis because of the pharmaceutical lobby? The responses are even better. But it is not just the pharmaceutical companies that make more profits off of cannabis being illegal. Police unions, private prison corporations, and prison guard unions also profit from “crime” associated with cultivating, distributing, and consuming cannabis. Let’s not also forget that alcohol and beer companies would prefer it if alcohol was the substance of choice. This is in blatant disregard of the research that suggests cannabis is 100 times safer than alcohol. 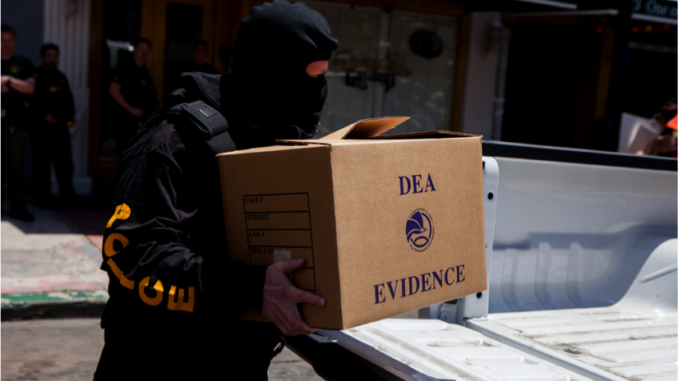 The DEA has been around since I was born, just as marijuana has been federally illegal. However, cannabis has a history of medical use for thousands of years. Our “history” books claim that organized civilizations started around 10,000 years ago. If this is true, then cannabis has been used since the beginning of civilization. The DEA is a national organization created by Richard Nixon in 1973. It is well known that Nixon was against the hippie movement. Remember, this is the same time that college liberals were protesting the Vietnam War. Nixon was the only president in history to resign to avoid being impeached. While the Watergate scandal is what brought Nixon’s corruption into mainstream media, this merely opened the floodgates for further investigation. Nixon was known for improperly dealing with government agencies such as the IRS. Public trust in the government fell from 80% in 1966 to 25% in 1981. Nixon’s time was right in the middle of this period. By 1975, the Supreme Court ruled that it is not cruel or unusual to receive 20 years in jail for having or selling marijuana. Today, our tax dollars provide a budget of 2 billion dollars for 5,000 agents, which allows them to enforce the regulations set by the DEA. We have Nixon to thank for the creation of the DEA and making cannabis a Schedule 1 drug. Why Is Cannabis “Bad” For Large Corporations? There are two primary reasons why the cultivation of marijuana is a threat to many large corporations. First, let’s start with industrial hemp. Why is weed illegal? Reason Number 1: Industrial hemp is exponentially more efficient and reliable and cost effective — an economic disruption that could cripple dozens of industries worth an aggregate of trillions of dollars, including lumber, clothing, and construction. Industrial hemp is a sustainable plant that efficiently allows for the production of paper, textiles, and rope. The sails on Columbus’ ships were made of hemp material. Industrial hemp also leads to other creative forms of goods, such as oils, cosmetics, and auto parts. Who could forget Cheech and Chong’s pot van in the classic film “Up in Smoke”. This must have been inspired by Henry Ford’s hemp car. Not only is the car made of hemp plastic parts, it also runs on eco-friendly hemp gasoline. This walls of this house are made entirely from hemp! Why is weed illegal when it has so many uses beyond that of its psychoactive effects? There are some people who take the whole hemp craze a little too far. Certainly, not everything can be made from hemp, but that in itself is not an excuse to make it illegal. Others may argue that the threat to capitalism was not the reason for making cannabis illegal. This distracts from the point; the fact is that marijuana is federally illegal for no good reason. Second, marijuana is known to help with the process of spiritual awakening. If we embrace aspects of the metaphysical world, then we will spend less time worrying about materialistic needs, such as buying and consuming corporate products. Why is weed illegal? Reason Number 2: Marijuana is known to help with the process of spiritual awakening. If we embrace aspects of the metaphysical world, then we will spend less time worrying about materialistic needs, such as buying and consuming corporate products. Marijuana often makes us look inward. It allows us to take some time to relax and reflect on our own personal thoughts. If we develop our own independent thoughts, then we cannot be told what to buy. Why is weed illegal and not OxyContin? We’ll get more into the financial motivations below, but it’s a small leap of logic to infer it has something to do with the fact that the former is mind opening and the latter is suppressive. Cannabis also helps us appreciate the spiritual aspect of life, such as the elegance and beauty of nature. As we continue to see this divine beauty, we will be less likely to shop in congested malls, and more likely to go on a hike in the mountains. A federal government’s duty should be to serve the people. They typically do things like build roads to allow for efficient transportation or enforce laws to protect their citizens from violence and crime. On the surface, the DEA seems to be doing exactly that. Drug addiction is an issue in this world, and the argument can be made that making drugs illegal, is preventing potential addicts from procuring the substance for abuse. However, the West has a long history of discreetly promoting addicting drugs. The Opium Wars between England and France with China is a perfect example. British traders were illegally shipping opium into China, making it easy for a staggering number of Chinese to get addicted. This had a severe impact on China’s socioeconomic status. The war was triggered by a drunken English merchant who killed a Chinese villager. While I will not bore you with the elaborate history, it is important to realize that the West has a history of promoting drug use under the name of “free trade”. The Chinese were not opposed to trading, but rather unrestricted drug trade. We can see that the conspiracy of getting other countries addicted to drugs continues today. In July of 2000, the Taliban worked with the UN to remove heroin production in Afghanistan. We see from the graph below that the turmoil caused by the US military going into Afghanistan brought opium production to all-time highs. While the exact numbers are not known, a similar story happened in Iraq. It is no wonder why Americans generally do not support a war in the Middle East. While the military has infiltrated the Middle East and turned a blind eye to the growth of opium, a similar story occurs in the US today. The opioid addiction problem in America is a serious issue, as pharmaceutical companies prescribe pain killers to just about anyone. It does not have the word “heroin” on the label, but this does not make the drug safe. It is estimated that 2.1 million Americans, nearly 1% of the nation, were addicted to prescription opioid painkillers in 2012. Drugs like methadone, OxyContin, and Vicodin caused over 14,000 deaths in 2014. This is almost 40 people every day, and is a more serious problem than heroin. Not a single individual has ever died directly from cannabis use. There is no such thing as a weed overdose. So, why is weed illegal, but OxyContin overprescribed? These are all signs of a sincerely plagued and greedy nation. Not only are these drug trades unethical, they are illegal, as they violate natural law. It is clear that the Afghani government was working to remove heroin from this country, and the US military stopped this without the people’s consent. If the federal government thinks it is okay to traffic illegal drugs internationally, what message is that sending to its citizens? I am not advocating that people should be encouraged to break the law. However, what motivation do I have to not buy marijuana illegally, besides the fear of getting caught? With our current political and economic system, it is clear that a select few people are fighting for control of our consciousness. If they can control how we think by getting us addicted to media, this hinders us from taking the time to develop our own independence. While almost every doctor goes into the field with the desire to help others, we find that pharmaceutical companies are the ones with the control. They make all of the medicine on the market, so doctors can only prescribe what is provided to them. Do the pharmaceutical companies want us to live a healthy life? Or do they want us to get addicted and dependent on their substances so that we get in the habit of taking 5 different pills every day by the time we are ready to retire? Once we are sucked in with TV and movies, we are bombarded with tons of advertisements for products that we do not need. Fortunately, despite all of these attempts to control our consciousness, society is starting to wake up. Americans are starting to realize that a lot of the food that is presented to us with undeniably easy access is not good for us. While fast food restaurants were on top of the convenient food game a couple decades ago, people are now more willing to pay a couple extra dollars for proper nourishment. While Coca-Cola has more advertisements than ever, people are starting to look past the billboards and simply drink filtered water. With disasters such as the water issue in Flint, MI, people are starting to realize that it is their responsibility for their own well-being. If you are the type to search for an article called “Why is weed illegal?”, and you made it through this far, then you are probably an advocate waiting to happen. With all of the federal corruption, it is easy to get heated up and want to make changes in a state of anger. However, this is not the way to go. By acting in a state of anger, we are giving the system more power. To make the changes we want to see in the world, we cannot fight with aggression, as this will not work. They have control of the military and police. They have already placed a ban on marijuana — a plant that grows out of the ground. Think about the absurdity for a moment. Sure, we can go protest outside the DEA office, but what will this accomplish? To make the changes that we want to see, we must first start from within. While the federal government is making it difficult for proper cannabis research to be done, the internet shows that there are countless studies on this sacred herb. The information is out there. We must stay calm and peaceful. Rather than coming together to make a radical movement to overthrow the system, we must realize that they do not have any power over us. They cannot stop us from learning more about the plant. They cannot stop us from growing the plant. While cannabis is illegal federally, we live in the United States of America. The states ultimately have more power than the federal government. Medical marijuana has already made it to most states, and a few states have already legalized cannabis for recreational use. Why is weed illegal? The signs point to so many different causes. Furthermore, legislation is constantly changing! By staying calm and informed, we can make progress on navigating this shifting legalization landscape. Unfortunately, cannabis is still not available to many who would prefer it. The ban on marijuana has caused needless suffering by those who need it. While I was young enough to have the fortune to move to California, many people are too established within their families and careers to uproot to whichever state they prefer. Ultimately, we do have the right to live in any state that we prefer, so it is our responsibility to make the best decision about which state has laws that promote the lifestyle that fits their needs. Rather than simply voting for President this November, look to learn more about state legislature. While we do not have control over the federal government, we do have some control over the states. We have the right to decide for ourselves what is the best for our needs. We know ourselves better than anyone else, whether it be family, friends, or the government. If our federal government says that we cannot use cannabis, then they are infringing on our natural law as humans of this earth. While the DEA can make it difficult for universities and large organizations to fund cannabis research, the truth is that they cannot stop an individual in the pursuit of their own knowledge and well-being. Can Medical Marijuana Protect Against Alzheimer’s Disease?